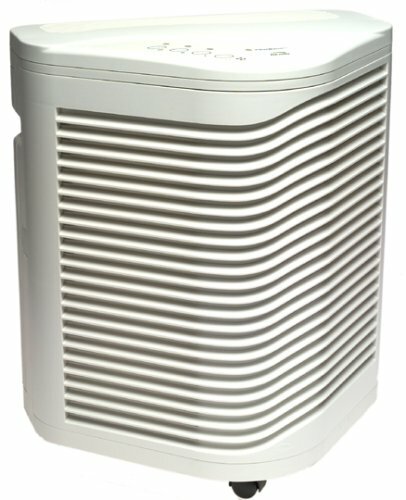 Impressively thorough, this true HEPA air purifier from Bemis dramatically and quietly improves air quality for a cleaner, more healthful atmosphere. Designed to purify the air in a 17-by-20-foot room five times an hour, the unit targets pollen, dust, smoke, bacteria, viruses, pet dander, dust mites, and mold. Its dual true HEPA filters remove up to 99.99 percent of particles 0.1 microns in diameter and up to 99.97 percent of all airborne particulates. In addition, two pre-filters target odors. The machine's Clean Air Delivery Ratings (CADR) are 215 for pollen, 220 for dust, and 220 for smoke.